I host a weekly online Sports Management chat as an Adjunct Professor for Sports Management Worldwide where I’m able to invite guest speakers from within the sports industry to participate. Over the past few months the students have learned from executives at many top teams, companies and agencies. I also have been on the sports conference circuit in the past year, participating in numerous sports business panels. Whether I am sitting on a panel or facilitating chats, I hear the same reoccurring advice about how to break into the sports industry. Here are some tips from recent calls to help give sports job seekers a head start. Another great way to build your Rolodex of contacts is to ask for informational interviews. Chris Canetti COO of the Houston Dynamo states, I am surprised to learn many people are intimidated to approach sports executives.” Meanwhile, I can tell you that I rarely get approached for informational interviews and would be more than happy to grant them.” Do not be afraid to ask for an informational interview. 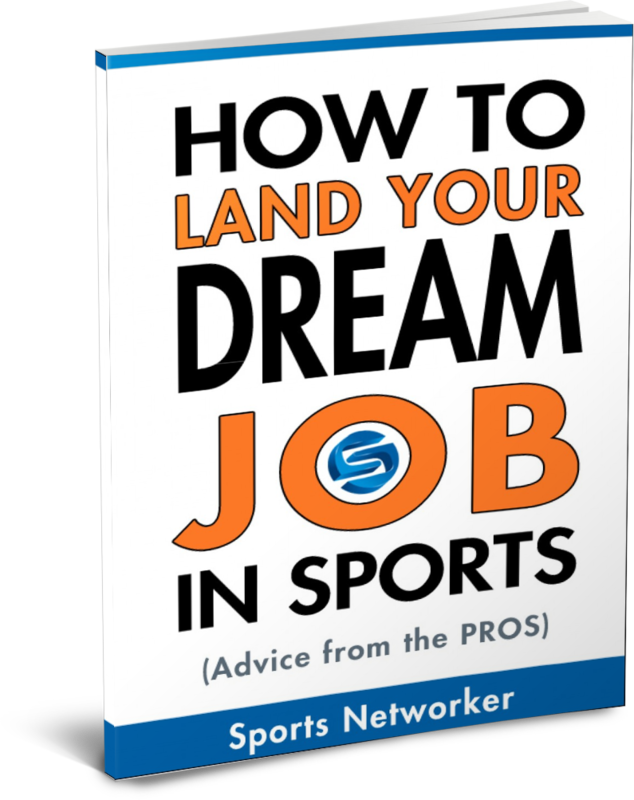 More and more companies, resources and websites such as SportsNetworker.com now exist to aid you in your job seeking efforts. Chris Keeney of Lone Start Sports encourages students to attend as many industry events as possible, “a proven way to build your sports contact Rolodex is to attend sports marketing conferences, seminars and job fairs. Every sports executive I talk to mentions the fact that they have volunteer opportunities at their team. Beth Cunningham of Northwestern University and Brian Flenner of Ohio State both indicate they need help both days of game as well as in the office during the week. “If you volunteer and do a great job, you will further your efforts towards breaking into the industry”, encourages Beth Cunningham. Drew Young from the Philadelphia Eagles has reviewed hundreds of sports job seeker resumes warns, “If your resume is not professionally done, highlighting your strengths and background you will get passed over.” Also if there are typos, miss-spelling or poor grammar, this also can dismiss you as a viable candidate.” Therefore, make sure you have at lest two or three other people review your resume. Matt Difebo from the newly formed Difebo Company tells job seekers, “Breaking into Sports is NOT an easy task. However, once you get in the sky is the limit. I have seen too many potential sports job seekers get discouraged and give up; only to miss opportunities that would have come their way.” If you follow all the tips presented in this article, and stay persistent, over time you will land a position with a professional sports team. The final piece of advice for you to consider is that if for some reason you cannot land a position in sports, the next best experience you can gain outside the industry is sales or revenue generating experience. In all sports businesses revenue generation is king. Therefore if you can learn how to generate revenue, no matter what profession or industry, you will be valuable to the sports industry. Mark Washo is an 18 year professional sports executive and author of Break Into Sports Through Ticket Sales. He is the current President of the Washington Freedom. Mark has experience in Minor League Baseball, the NBA, MLS and now Women’s Professional Soccer. 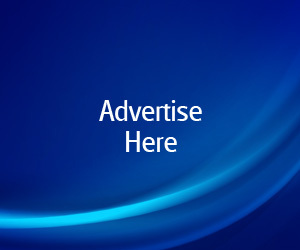 Please visit www.breakintosports.biz to learn more. Great post and I can attest to all of these! Tomorrow I’m moving to New York to take a job with a Minor League ball club. I got it after attending the MLB Winter Meetings and the MiLB/PBEO Job Fair. Don’t be afraid to reach out to people beforehand either. I interviewed with 2 MLB teams, because I emailed them prior to the meetings. Anita: glad you enjoy it. There are a few more posts on her on how to break into sports as well in the “sports careers” section of the site. Megan: Congrats on the new sports job in NY. Which team are you going to be working with? Also, were there a lot of people from the job fair who were as successful as you, or were you contacting some of these potential employers before hand and just meeting up with them at the job fair? It’s great to see an article that directly touches on how to get into sports. One more addition to the list for me would be to seek out opportunities in smaller clubs/teams that are local to your area. Chances are they need the help and like you said, you may be able to get into a volunteer or PT role and work your way up. I see many people go for a MLS job straight away if they are interested in soccer, when a NPSL or PDL team that is in their town is looking just as hard for great talent, and could be a very successful jumping board for them in the future. Thank you for the article; it was just the information I’ve needed. I’ve been out of college for a long time and I’m looking to find out how to get into sports and this information is a great help. 1. Forward this letter and emails to perspective owners. is up and running. Check out team names. Bio, Chem, Physics. FYI: My no. 1 interest, since honors physics in high school = particle physics. FREE PLUS A LITTLE HARD WORK. OR $9.85 million and WE, do all the work. clothing, transportation, housing, misc fees, etc. at least, until league, is fully formed. 3. Pay standard 7% gross franchise fee, post 1st. season. GM., for three teams to practice. 5. Are always subject to, and must abide by, league rules. 6. The league retains, first right of refusal. WNBA financials, as a guide line, is better than ours. through these troubled times, as did all of our predecessors. OBLIGATIONS AND CAN WITHDRAW AT ANY TIME. Please respond within ten days of receiving this letter. those of us that are over 40 yrs old that were its main support. For the first time in history, it is now our turn to play. executing a sweet pass, between Dr. J’s or Kareem’s legs. upgrade = 3.7 The Heat??? Celtics will crush them. brother, IF THEY HAD PLAYED IN THE NJBA??????????? We’re not so sure, but, THERE IS, ONE WAY, TO FIND OUT. country are over 40yrs. of age. “The fastest growing population”. FOR THEM. Who holds the wealth, in America??? THEM. to solicit multiple investors, for each team. ps: PLUS 15% franchise ownership. This is really helpful to me. I have feared taking up any sport, I didn’t know where to begin or what people would think of me. Your blog has inspired me and I now realize that every great sports person starts from scratch, not knowing what they are doing. Thanks for the great guest blog. Good article, thanks – but one thing, on Point 5 you say “…you have at lest two or three other people “. Think you mean at least. The irony! dissertativa em 20 com dezembro e ingressará no interior de curso a formação em março desde 2016. We offer several diet programs for effective weight los ffor each as well as eveery person.